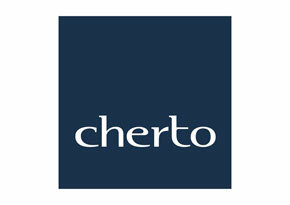 Cherto is the leading consulting firm in Franchising in Brazil. We started our practice when Franchising started in Brazil, in 1986 and we have been active players on the stablishment of the Brazilian Franchising Associacion (ABF), the development of the Brazilian law in Franchising and the first Franchising courses and seminars in Brazil. Throughout time we have participated in the development of franchising models for over 1,000 companies, out of the current 2,400 Franchisor in the market. We also worked for our clients in projects in countries such as Argentina, Paraguay, Chile, Bolivia, Colombia and Portugal, among others. Our team is composed by 56 full time colaborators, covering areas such as planning and development, processes and manuals, education, expansion, international franchising, focusing in Franchising, but also using Frachising techniques to develop other Marketing Channels, such as distributors, door to door ou independent resellers. Marcelo Cherto was the first consultant in Franchising in Brazil, founded the Brazilian Franchise Association, participated in the development of the Brazilian Franchising law and is a member of the Brazilian Franchising Association’s Master Council. Apart from that, has written over 10 books on Franchising in Brazil and participated on over 500 franchising projects.